Software-as-a-service gives today’s enterprises intuitive, scalable and cost-effective alternatives to traditional on-premises tools for tasks such as human resource management, enterprise resource planning and email. Moreover, SaaS is often the gateway to cloud-based services for many organizations. It provides full-featured applications delivered over the Internet for a relatively small fee that includes ongoing maintenance and support from the vendor. You get to specify only the toppings, or technical features in the case of a SaaS solution, that you really want or need, so that you know ahead of time what you are getting and what you will pay for it. 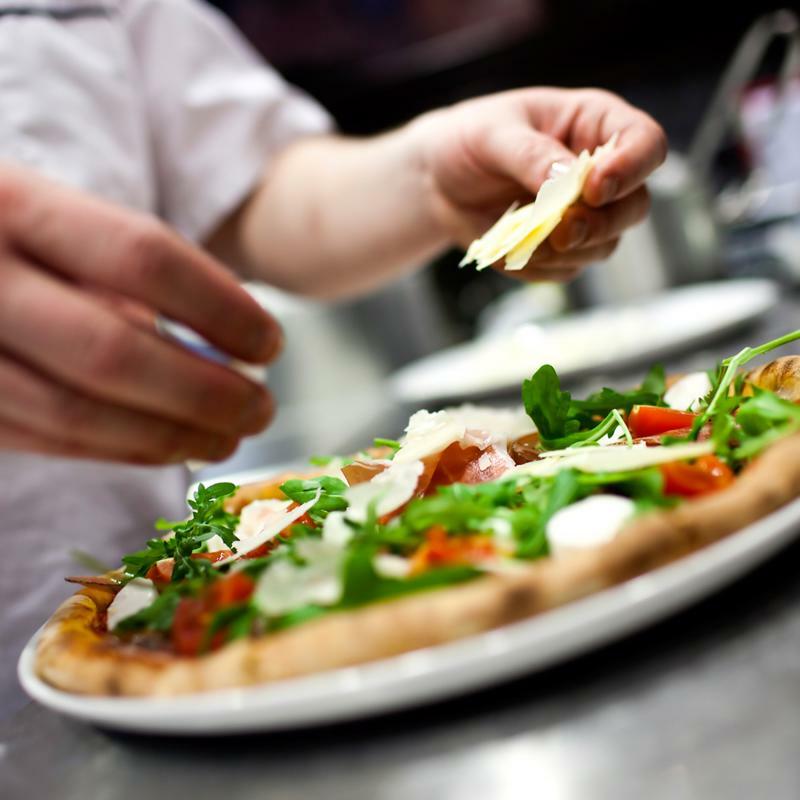 Someone else – i.e., a driver for the pizza, a cloud service provider with plenty of compute, storage and networking resources at its disposal for the SaaS offering – takes care of transporting the finished product directly to you. Just as home delivery saves money that would have otherwise gone toward gas or a bus ticket, SaaS trims the costs associated with infrastructure maintenance, security and updates, freeing up these funds for other projects. The process can be repeated as needed at an affordable cost, namely the price of the pizza or, for SaaS, the rate for adding additional users and/or capacity. Another similarity between pizza and SaaS is the insatiable consumer appetites that they are both so good at stirring up. Forrester Research has estimated that global revenue from SaaS will reach $106 billion by 2016, up more than 20 percent from project 2015 levels. SaaS provides a similar level of convenience as pizza delivery. Growth in spending on cloud-related solutions is expected to easily outpace that of general IT expenditures, increasing at a 30 percent compound annual growth rate compared to a 5 percent CAGR for IT as a whole. Indeed, SaaS is a hot and growing commodity, with something – whether a custom relationship management platform, cloud-based help desk software or another on-demand tool – for seemingly everyone. While the appeal of SaaS to enterprises is an obvious as that of pizza to almost anyone who is hungry, getting the most out of it in real-world use cases is a bit more complicated, requiring close attention to technical infrastructure such as the corporate WAN in particular. Network admins have long relied on WAN optimization to accelerate TCP flows and eliminate redundant data transmissions, with the ultimate goal of improving SaaS application performance across all of their sites. Companies need to go further than WAN Op when implementing SaaS, however. More specifically, they must ensure that their applications are secure and that they still have adequate control over the data that is being exchanged over the various connections between their data centers, branch offices and private and public cloud instances. Only through a modern WAN can the benefits of SaaS be reliably served up to end-users. If the most widely touted advantages of SaaS are deep vendor assistance, pay-as-you-go business models and low cost of entry, then the most recognized disadvantages are potential security vulnerabilities, lack of control and integration with the WAN via trust relationships with applications as well as last-mile connectivity. Cloud-based software can remove the age-old burden of managing lots of on-site servers and storage appliances, yet at the same time put the onus squarely on the WAN to ensure reliable links between company infrastructure and the CSP’s services. To this end, a solution such as the Talari cloud appliance provides both the control and the visibility that enterprises need when weaving SaaS into their networks. Two or more aggregated links are set up so that there is plenty of bandwidth along with fallback options in the event of a single failure. These paths are constantly monitored for quality and availability. In practice, this setup ensures that events that would normally be highly disruptive – such as an ISP outage that would make an SaaS application unavailable at company offices – are neutralized. That is, network failures are automatically analyzed and handled so that the user experience with SaaS goes on uninterrupted. As we have seen here, SaaS is set to become an increasingly popular way for enterprises to access mission-critical applications. Making the switch from on-premises to cloud tools opens up many potential benefits, but only if the underlying WAN is dependable. Request a custom demo of Talari’s WAN to Cloud solution today to get started with shoring up your investment in SaaS.